Berries in general are extremely beneficial for health, and raspberries in particular are some of the most potent fruits of the berry family. And you have probably been aware of this fact and included them in your diet all your life, helped along by the fact, of course, that they are positively delicious. However, now that you are pregnant, you are probably having second thoughts before reaching out for the fruit bowl; goodness only knows how many tales of caution you have heard regarding this fruit and that. But there have been tales of encouragement as well, and you are sorely confused. In this article, we will try to put your mind at rest. The good news is, yes, you can certainly eat raspberries while you are pregnant. They are not only safe to eat, it is in fact highly recommended that you eat quite a bit of this fruit during those nine months. But do remember that like everything else, it will not do to go overboard in your enthusiasm; raspberries are sweet and contain quite a bit of sugar, and that might get dangerous if not checked. The best idea, of course, is to consult your doctor when raspberry season comes around. Another thing to keep in mind is that the raspberries, like all fruits, should be washed properly before consumption. This is to get rid of parasitic infestations on the fruits before they are eaten. Raspberries are very rich in folic acid, which is one of the most essential nutrients required by the baby to grow. An adequate supply of folic acid to the womb ensures that the baby develops a healthy spinal and neural system, effectively preventing, or at least mitigating, the chances of the baby developing problems in the neural tube and the spine, leading to birth defects such as spina bifida. That is not all; folic acid also ensures that your baby does not develop cardiovascular problems and urinary tract issues, and grows healthy limbs. It also mitigates chances of eclampsia in the mother. Raspberries contain a good amount of dietary fiber, water, and sugar. The water and fiber ensures that the pregnant woman has to deal much less with the digestive problems that come as part and parcel of pregnancy, since these two ingredients make the stool softer and bowel movements easier. The sugar might pose a problem, especially if you have a history of diabetes or high blood sugar, but otherwise, if consumed in moderate quantities, it will provide you with ample energy to carry on during the day and leave you feeling less tired than usual. Raspberries are high in iron content, and are therefore essential to maintain a high hemoglobin count. Anemia is quite common during pregnancy, and can lead to dangerous consequences. A slightly low count of red blood cells can result in extreme fatigue and dizziness during pregnancy. So it is important to include ample iron in your diet during those nine months. From a better digestion to a healthy hemoglobin count, there is a host of benefits to be reaped from eating a healthy amount of raspberries during your pregnancy. Eat them with your morning oats and yogurt, or pack them as a fruit salad to munch on now and then to meet your hunger pangs. Can I eat coconut during pregnancy? 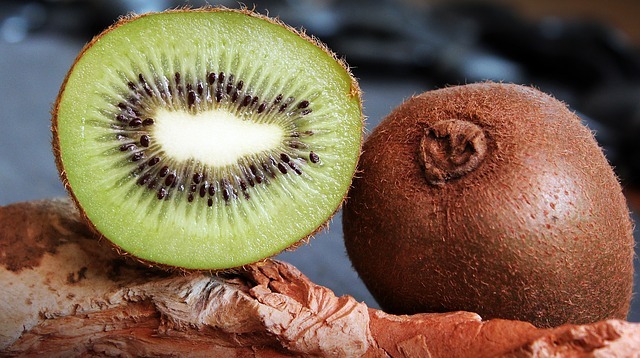 Can I eat kiwi during pregnancy? Is it good to eat raspberry during pregnancy? Are you going to be a mother soon? Are you aware of all the food products which are healthy for you and the baby? If no, you should definitely consult your dietician soon. A child starts receiving all the essential nutrients right from the womb. Hence, if you wish to have a healthy child, you should certainly have knowledge of what to eat and what not to eat. We have seen a lot of pregnant women who avoid berries such as raspberries thinking that it is not good for the baby. Do you belong to that category? If so, you are completely wrong. Raspberries do not pose any threat to you or your baby. On the contrary, this berry is very essential for the proper development of your baby. Through this article, we will help you understand some of the benefits of consuming raspberries during pregnancy. Raspberries contain antioxidants, vitamin C, folic acid, beta-carotene, and potassium. These minerals are very essential for the baby. They help to build the immune system and also develops healthy skin cells for the baby. Eating raspberries regularly will help in the uterine contractions. Thus, you will have a safe delivery without any complications. You can also consume the raspberry leaves during pregnancy. This will help to prevent a lot of problems such as cramps, fatigue, dizziness, and nausea. Drinking raspberry tea is also considered to be beneficial during pregnancy. It not only helps in childbirth but also presents hemorrhage. Do you suffer from constipation problems? If so, you should try to consume raspberries regularly. The fiber and manganese content in these berries will help to cure all the digestion problems. They also help to maintain your weight throughout the pregnancy. Antioxidants and ellagic acid present in the raspberries will prevent the chances of cancer during pregnancy. Vaginal infections are quite common during pregnancy. Raspberries are one of the best solutions to prevent this problem. Raspberry leaves are also used to cure the rashes in pregnant women. It is not advisable to eat a lot of medicines during pregnancy. Hence, if you have any respiratory problems such as a cough, flu, sore throat, common cold, etc., you should have raspberries daily. In spite of the aforementioned benefits, there are also certain negative effects of eating raspberries. If you eat them in excess, it might result in miscarriages or any other complications in pregnancy. Hence, the quantity you eat serves a very important role in determining if they are good or bad for you and your baby. The ideal quantity of raspberries which is considered to be healthy for pregnant ladies is approximately 1-2 cups per day. In short, although raspberries are beneficial for both the pregnant ladies and the fetus, it should be consumed only in prescribed amounts. 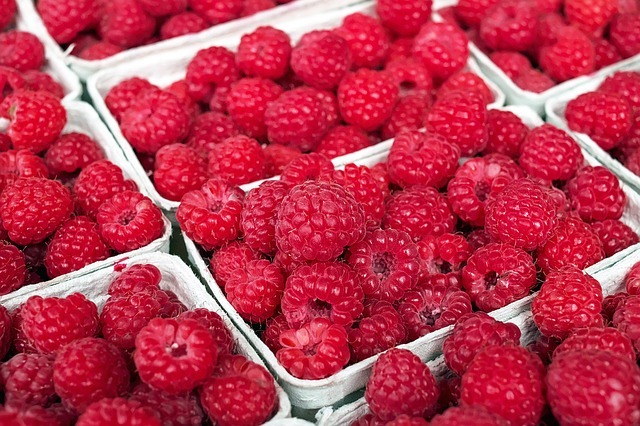 It is always better to take the advice of your dietician before deciding on the number of raspberries. If taken in limited amounts, this berry is definitely the best to be consumed during pregnancy.